I had hired them twice, they did both time a good job!! Just so happens that I pass this place quite often as this Wrought Iron and its neighbor (a leather shop) seems to stand out on the busy street. Had Rene put together 2 designs for security bars for our railings and sliding doors. Excellent service and quality products that were custom fabricated in-house. Expect about 4 weeks of lead time for fabrication. Installation was done in a day. thanks for your work. it was a pleasure working with you. They did a great job. I highly recommended!! HIGHLY RECOMMENDED! 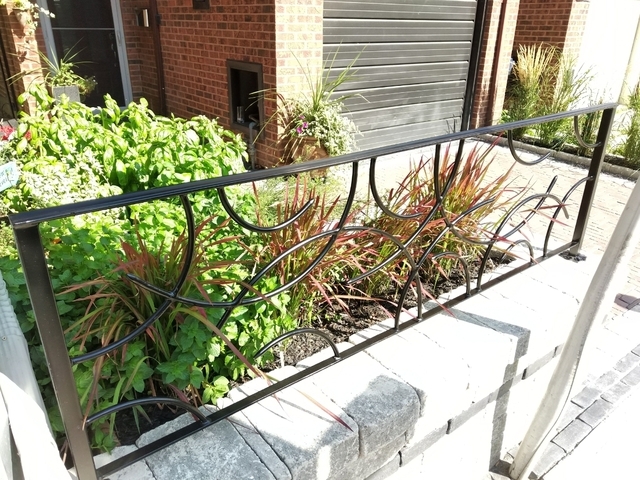 We spoke to several contractors, and found Omega Iron And Railings to be the most professional and knowledgeable amongst them all. On top of that, his price was reasonable. We put our trust in him, and we were not disappointed. His team delivered on the project as agreed upon, and worked tirelessly on it to finish right on time, even in the challenge of a very hot day. The fence looks beautiful, and we were very impressed with the results, not to mention the stress-free experience. 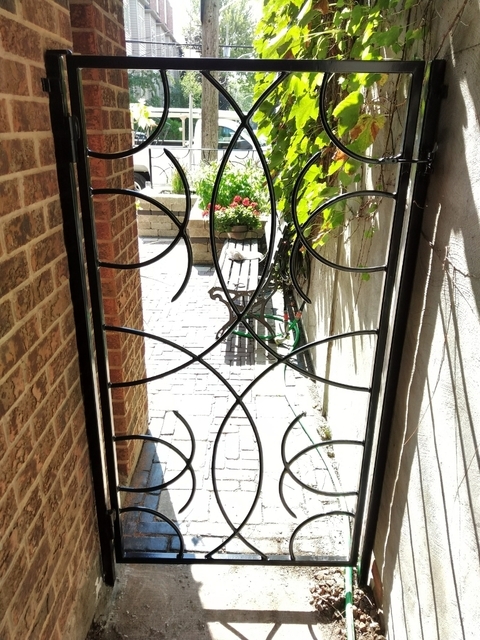 We absolutely recommend Omega Iron And Railings! Hi Marlee, great working with you. Thank you, Omega Iron And Railings! Omega Iron And Railings is a pleasure to work with. I had no experience or knowledge of security gates and he took the time to walk me through features, functionality, etc. Additionally, he responds quickly to emails and phone calls. Customer service oriented, professional, friendly, and good at communicating and explaining his work. Thanks for the business. happy we could help. Omega Iron & Railings are very accommodating. Omega Iron & Railings are very accommodating. My friend and I went back and forth on the design and they never seemed to be bothered. The end product ended up matching the custom design perfectly. Highly recommended! I Highly recommended Omega Iron And Railings!! REALLY GREAT job. 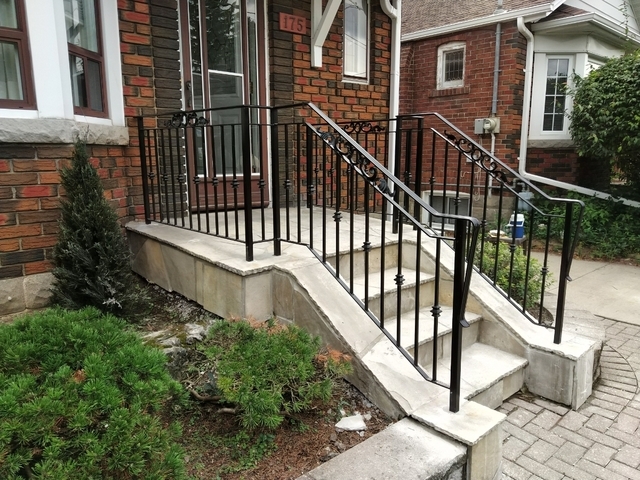 From first contact to quote to delivery, it was easy and high quality to get my rusted front door railing removed and this wonderful upgrade installed. I would recommend them to anyone. Thank you. 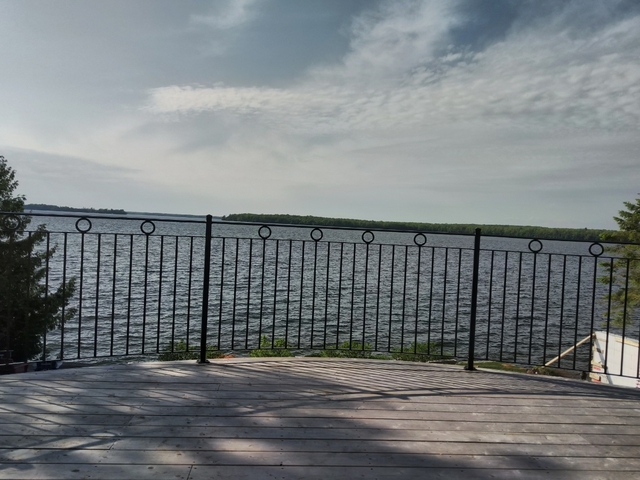 Glad we would replace the railing for you. Great product and the installers were very clean and polite. Would certainly contact Omega again. George and Angelo were a delight to work with. I believe my job was small in comparison but they never failed to treat it as though it was equally as important. The design of the iron turned out to be more beautiful than I had envisioned; a real plus. 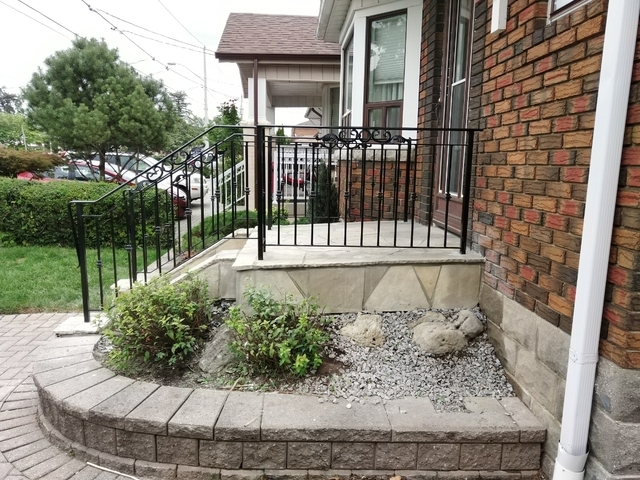 The rail sitting on top of my raised garden and the gate for the walkway to the back yard finish off the curb appeal perfectly. We're very, very happy to have found Omega Iron and Railings. 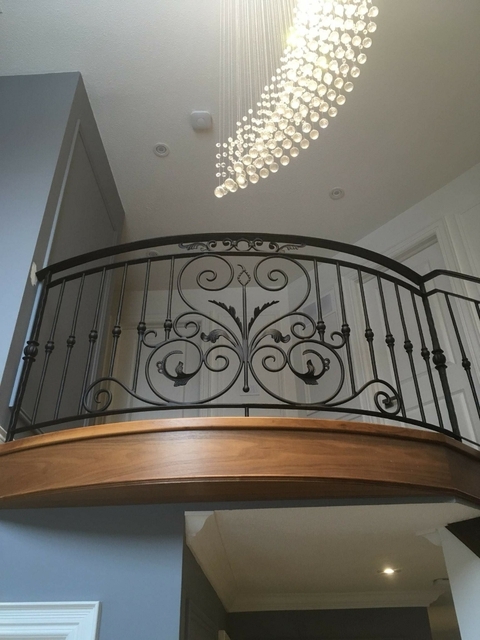 From the moment we contacted Omega Iron and Railings, our experience has been exceptional in every way. 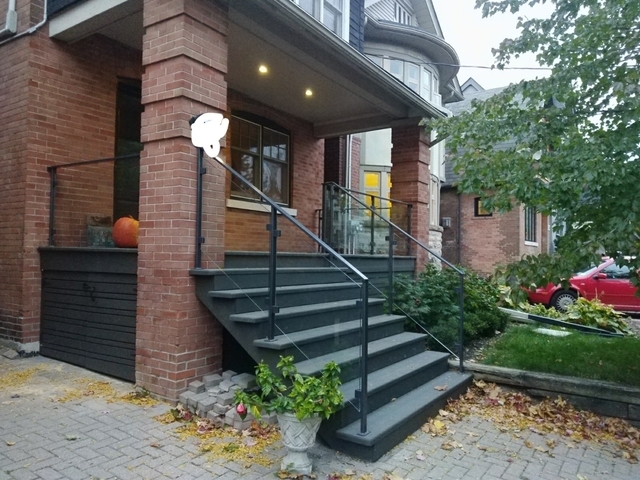 George responded to our initial request for a new wrought iron railing, very quickly, gave us an approximate cost and offered to have someone make a site visit at our convenience. We were fortunate to have Angelo come to our house. Angelo was extremely helpful, patient and professional. 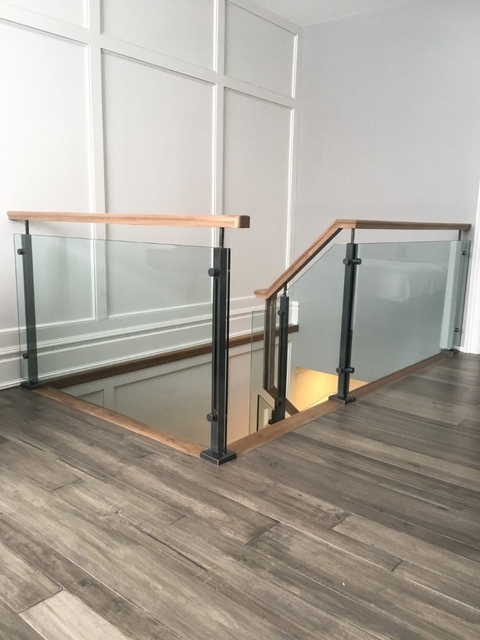 Angelo was very good to work with us regarding the height and styles of the railing and offered suggestions---all of which we took and are very glad we did. 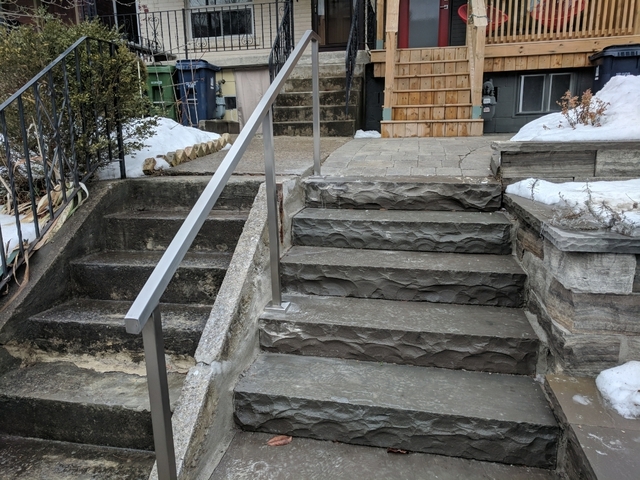 George communicated each step of the process in having the railings made---so we always knew what stage they were at. 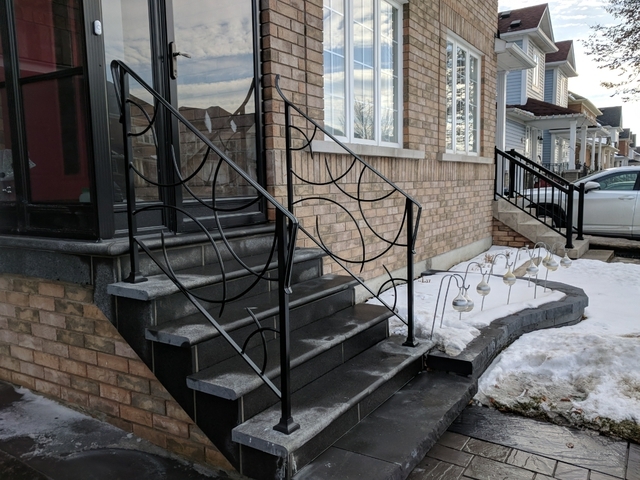 When we went outside to see the finished product after Angelo completed the installation, the railings were even more beautiful than we imagined they would be. They have pleasingly transformed the look of the house, as Angelo said they would. We have not worked with a company and people who have been as helpful and even more---seemed to be happy that we are happy. I would definitely call them first for any future work and would highly recommend them to anyone. 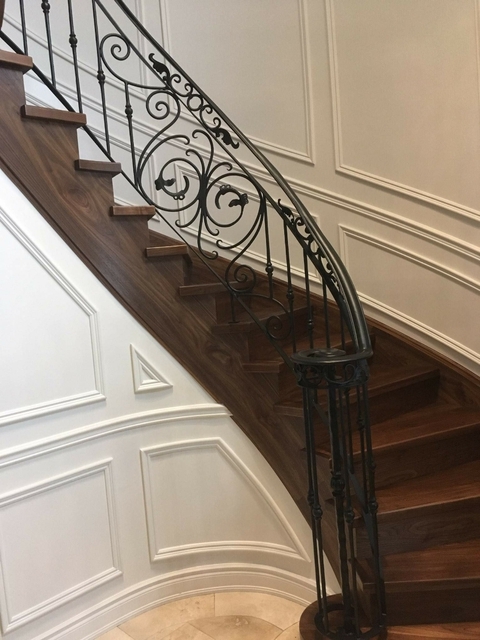 Omega Iron and Railings is a leader in the professional custom production of hand-forged wrought iron, glass, stainless steel and brass work. 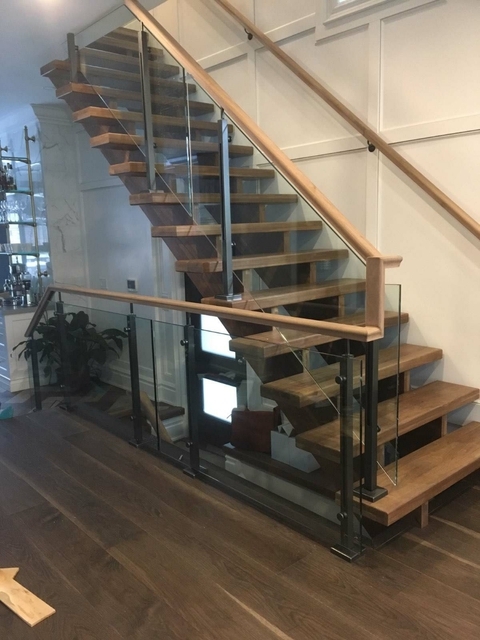 Our passion in our works of art and our experience allow us to collaborate with you to ensure quality and complete satisfaction from the detailed drawings to the final installation.